You’ve heard of RFPs and you’ve heard of responding to RFPs, but did you know there is a much better way to approach them? Life doesn’t have to be a fire drill for you as an RFP responder. All you need to do is create an RFP response process. 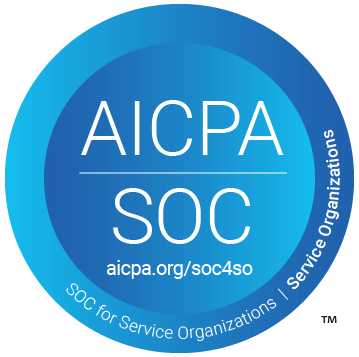 Look at the many types of processes you have at your organization today. Seems like we have a process for everything, right? Especially when it comes to sales, having a defined strategy is necessary for our survival. Yet for some reason, we don’t take the time and give RFPs the same level of attention. And, we end up feeling pretty lost without that process. An RFP arrives, and we are stuck in this reactive cycle when we could be more proactive. At RFPIO, we hear this story all the time from customers who come to us looking for guidance. Today we’re here to offer some help, based on what we’ve seen working for other RFP responders. Ready to break the cycle? Let’s dive into what an RFP response process looks like, so you can be more proactive and have your best year ever. What is an RFP Response Process? An RFP response process is an efficient workflow which clarifies roles, responsibilities, and timelines to help an organization meet the issuer’s deadline. The process covers who the key RFP contributors are and how they will respond to each question on time, with the goal of winning new business. A great RFP response process is practiced by the entire team. RFP contributors come together to build the process, and they follow it consistently. The most successful organizations collaborate throughout the RFP project under a clear set of guidelines. As you can see, an RFP response process doesn’t work without great people backing that process. Which is why—if you haven’t yet—it’s time to sit down with your team and hash out ideas for a better RFP strategy. For starters…get the process down, step-by-step. You have plenty of one-sheets for everything else—now it’s time to create a different one that covers your organization’s unique RFP response process. 2. Ready Forms – NDA, DPSA, etc. The best way to create an RFP response process is collaboratively. Even if you have a proposal manager running the show, you’ll walk away with a better strategy by bringing in more diversity from your team. Instead of one proposal manager typing this one-sheet up in a corner, call a meeting and have a focused brainstorming session. Invite a mixture of sales, marketing, customer success, executives, and subject matter experts (SMEs) to contribute to the process. Collaboration is truly one of the most important themes to consider with RFPs. Having the right people in place with the right responsibilities makes a huge difference. So, when you’re defining your RFP response process, be clear about who owns each component as well. If you have a process laid out without clarifying these roles, confusion will follow and things will slip through the cracks. Companies seeing positive results with RFP response have key individuals owning the RFP process—or at least, a segment. Responding to sales proposals requires multiple people in different roles and departments who then share their different viewpoints and expertise. High-performing RFPs might include contributions from SMEs, salespeople, finance, and IT. Then they are reviewed and polished by proposal managers, executives, and marketing. The idea is to produce compelling responses that beat out the competition, and it truly takes an army attacking an RFP at all angles to do that effectively. If this RFP represents a significant dollar value in revenue for your business—and your proposal is a necessary step to get there—it should be approached with a strategy of collaboration. 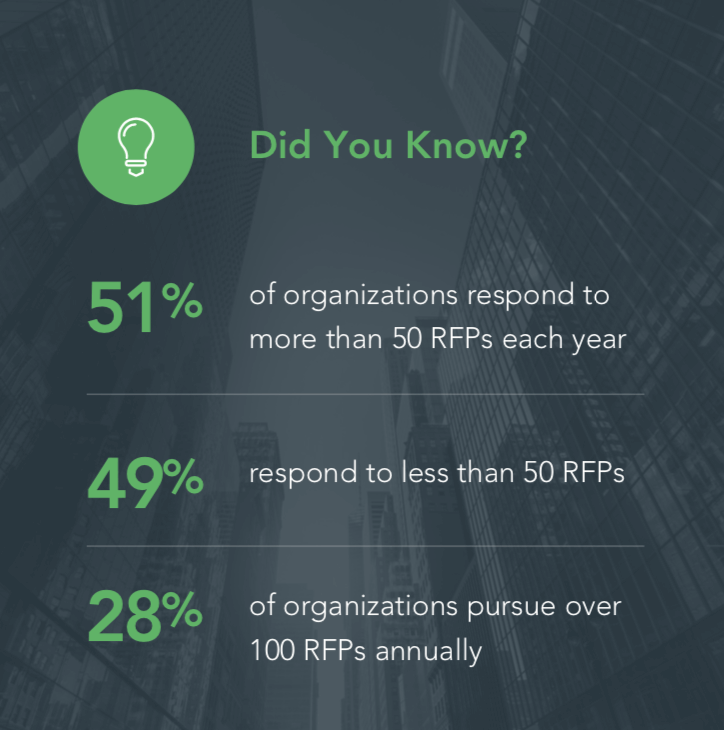 RFP software as a stand-alone solution helps organizations dramatically improve the way they respond to RFPs. But it’s the people using the solution that really make it powerful. A common challenge for responders is the inefficiency of responding to RFPs. On average, we’ve seen clients cut their response time in half with RFPIO. The happiest teams we know have a consistent strategy they work with, along with the features that come with our solution. Compared to when they used a manual process, everything is much smoother. For example, assigning reviewers sequentially ensures the deliverable is polished with the highest quality responses for each section. You can easily assign users within the solution, so the roles and timing are clear for everyone. Try reviewing an RFP with thousands of questions by email. Yeah…it requires a ton of back-and-forth which takes extra time your team doesn’t have in the first place. You can certainly respond to RFPs without software, assuming you have a rock-solid approach that is humming along without inefficiencies. However, when you combine a strong RFP response process with technology, progress will come. Simply going through this exercise will make your sales efforts stronger than before, because you’ll be able to identify gaps and opportunities for improvement. But, we hope you’ll see the exercise through and discover a great RFP process—and stick with it. Let’s commit to breaking the reactive cycle and end the fire drills. It’s time to be more proactive. Start with locking down a great RFP response process, so you can have an awesome year. Are you an SME responding to RFPs? This one’s for you.